The milestone 100th General Assembly will convene at noon on Jan. 9 with majority Republicans considering efforts to overturn key actions taken by Missouri voters last year to approve legislative ethics and redistricting reform and reject a so-called “right-to-work” law intended to suppress labor unions. Since the 2018 elections yielded no net change in the partisan breakdown in either legislative chamber, Republicans will continue to outnumber Democrats 24-10 in the Senate and 116-47 in the House of Representatives. But while Missouri voters kept the GOP in control of the legislature, they also took positions last year on several ballot measures that are more reflective of Democratic policies, including approving a major hike in the statewide minimum wage and legalizing marijuana for medical use. So far, Republicans have made no move to reverse voters on those two matters. And after voters crushed the GOP’s proposed right-to-work law in August with 67.5 percent opposed, that issue appeared dead for the foreseeable future as well. However, legislation has already been filed in the Senate seeking to impose right-to-work anyway, although whether the bill gains advances remains to be seen. There seems to be little doubt, though, that Republicans will forge ahead on undoing a legislative redistricting reform amendment that voters ratified in November with 62 percent support. Gov. 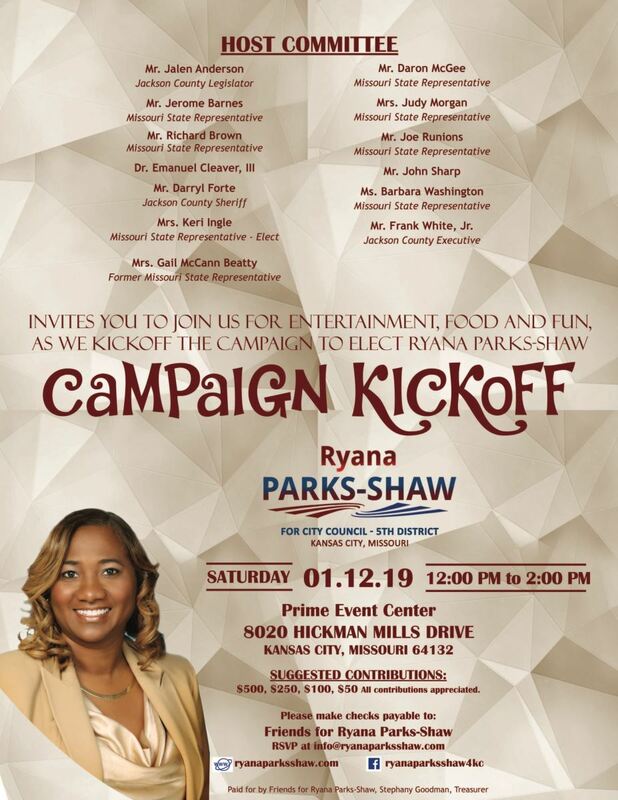 Mike Parson has stated his support for such an effort. Exactly opponents of redistricting reform will propose remains unclear, but any changes would require putting another constitutional amendment on the ballot for voter consideration. In addition, crafting a state budget will once again pose challenges for lawmakers, as due to a string of tax cuts over the last decade-plus, spending demands will again far outstrip available revenue. General revenue is expected to grow by $193 million for the upcoming 2020 fiscal year, which begins July 1. For the same year, it is estimated revenue collections will take a $320 million hit from the implementation of the next phase of major income tax cut enacted in 2014. Jackson County officials were sworn in last week as the new session of county government began. Congratulations to returning County Executive Frank White and legislators Crystal Williams, Tony Miller, Scott Burnett, and Dan Tarwater. Special congratulations to newly elected county officials Ron Finley, Charlie Franklin, Jalen Anderson and Sheriff Darryl Forte. At the State level, members of the House and Senate will be sworn in Wednesday in Jefferson City at noon. Best of luck and congratulations to newly elected legislators from Jackson County Robert Sauls, Ashley Bland Manlove and Keri Ingle. 40 Club Luncheon: Monthly labor lunch Tuesday January 8th, 12:00pm at Sheet Metal Workers Local #2 (2902 Blue Ridge Blvd. KCMO 64129). 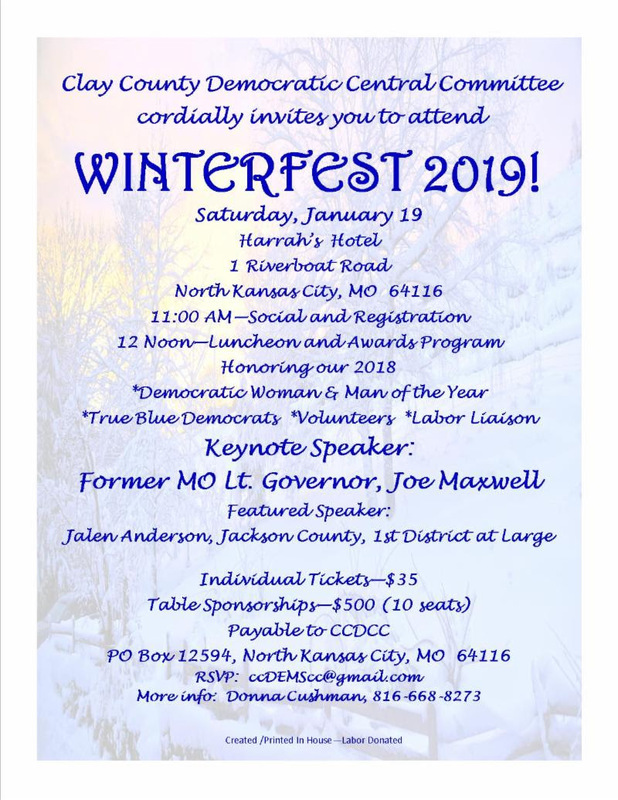 Guest speaker: Mike Lewis of the Missouri AFL-CIO to discuss upcoming issues for 2019. State of the State Address: Governor Parson delivers the annual State of the State in front of the General Assembly January 16th at 3pm. A link for streaming video will be posted later. 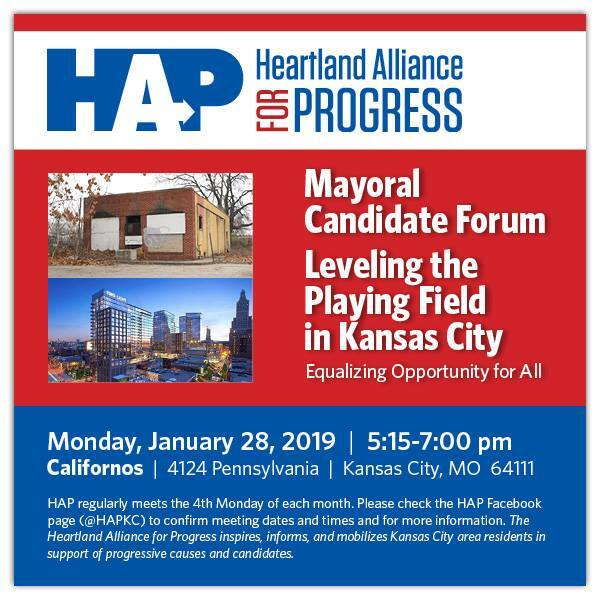 Heartland Alliance for Progress: Mayoral candidate forum, "Leveling the Playing Field in Kansas City." Monday January 28th 5:15pm at Californos (4124 Pennsylvania KCMO). JCDC Quarterly Meeting: Regular business meeting. 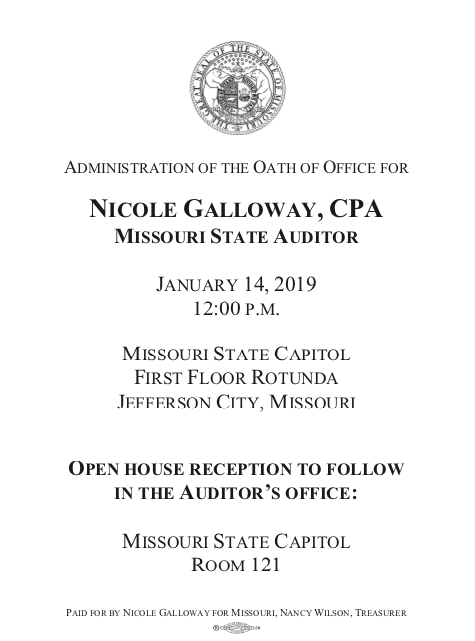 January 31, Jackson County Courthouse, 415 E 12th St. KCMO. 7pm.